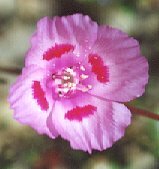 Below are links to photographs of wildflowers of the southern California chaparral, desert, mountains, and north coast indexed according to scientific, common, or family names. 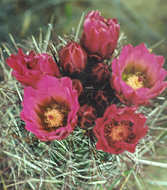 The plants were organized and identified by Barbara J. Collins. The photographs were taken by both Barbara and Lorence G. Collins. 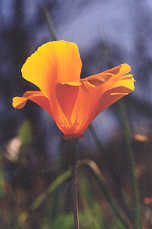 A more detailed description and key to the chaparral plants may be obtained from the following book: Key to Coastal and Chaparral Flowering Plants of Southern California, by Dr. Barbara J. Collins. At the right is a plant resources link to Tom Chester and Jane Strong's extensive collection of photos and databases of plants in southern California. What's that plant? is a simple guide for determining the names of some common plants you might see along the trail. Find your way to the plant name and photo. 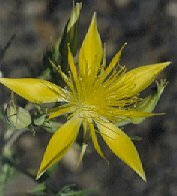 Keep in mind that only a few of the more common plants have been included in the key, and that these plants are found growing along a trail or in grassy fields, not in your front yard. As you may know, a considerable amount of effort has been put into the development of this website. Each and every photograph had to be catalogued and each plant properly identified, checked and rechecked, to ensure the accuracy of the website. We gratefully acknowledge the work of our son, Kevin Collins, who designed and authored the website and search engine. This project has been a labor of love for the three of us. We also gratefully acknowledge the Hewlett Foundation and California Lutheran University for hosting this site and providing us with small grants to help defray the costs of film development and travel used for the expansion of this website. Copyright © 2000-2012 by Barbara J. Collins and Lorence G. Collins. All rights reserved. The photographs contained in this website may not be commercially reproduced without the expressed consent of the authors. This website was designed and authored by Kevin A. Collins in accordance with the wishes of Barbara and Lorence Collins. Feedback and or questions about the content of this website should be directed to bcollins@callutheran.edu.